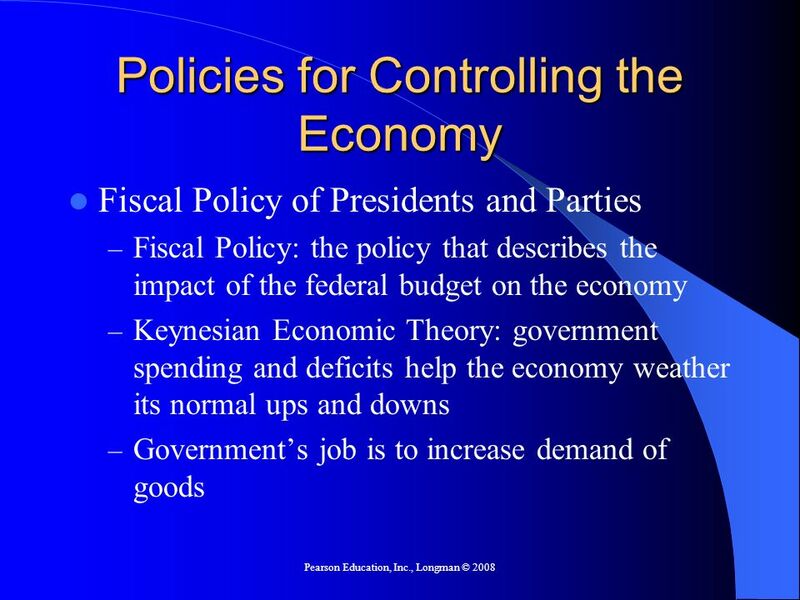 Macroeconomics that part of economic theory dealing with the economy as a whole and decision making by large units such as governments and unions Click. 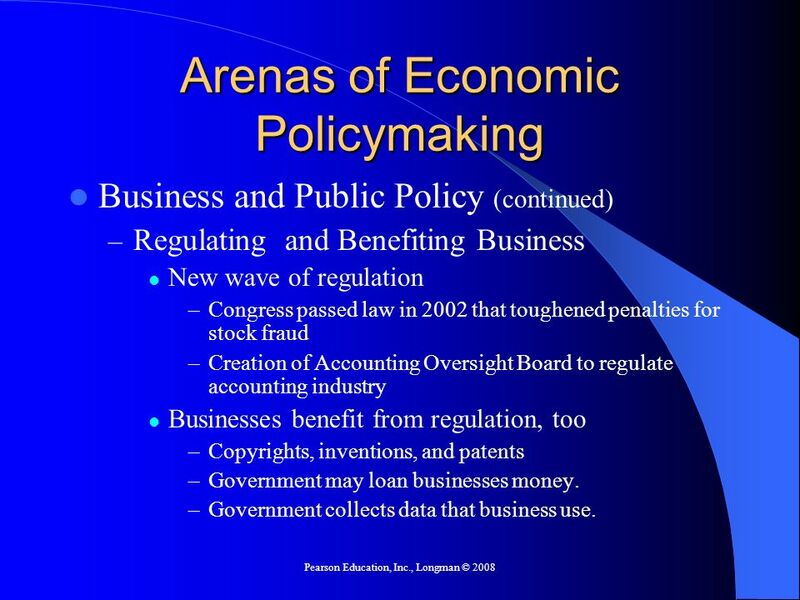 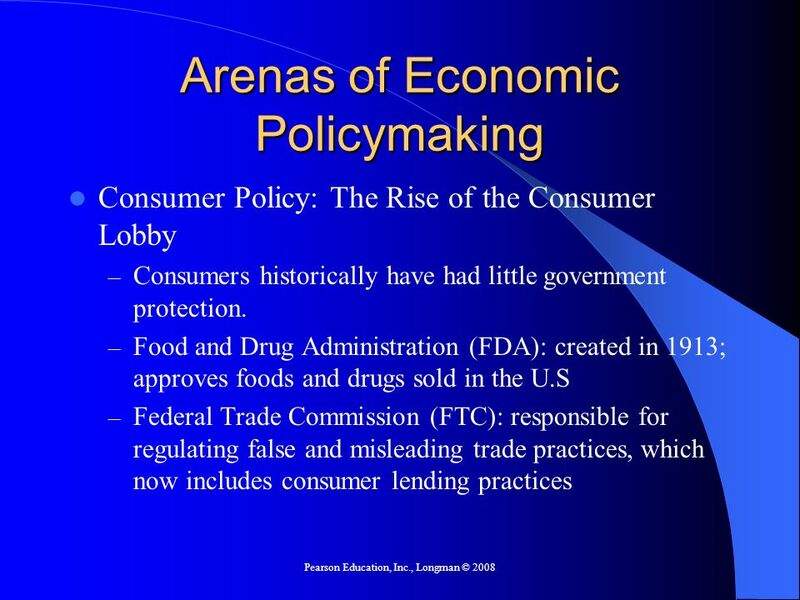 Economic Policymaking Laura Buitrago TermsHistory. 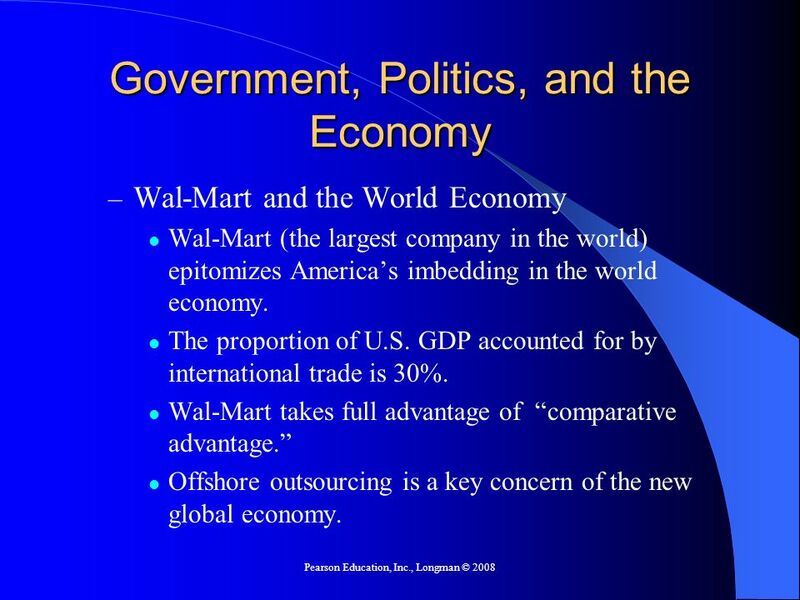 The role of government in the United States economy How does the United States government promote and regulate competition? 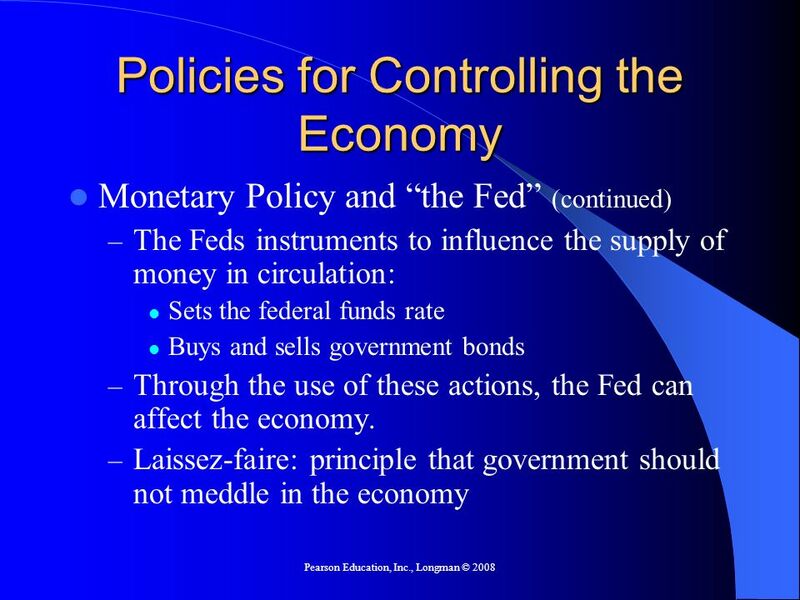 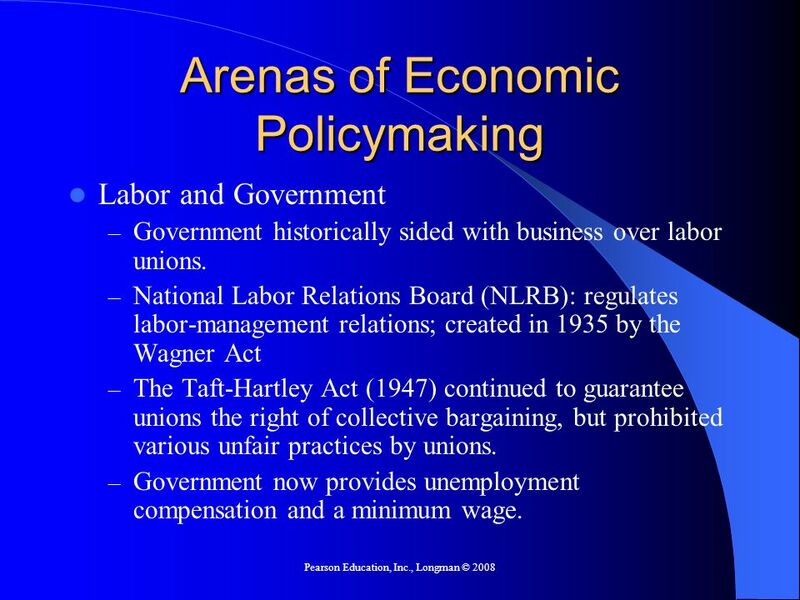 Chapter 16 Monetary Policy and a Look at the Role of Labor. 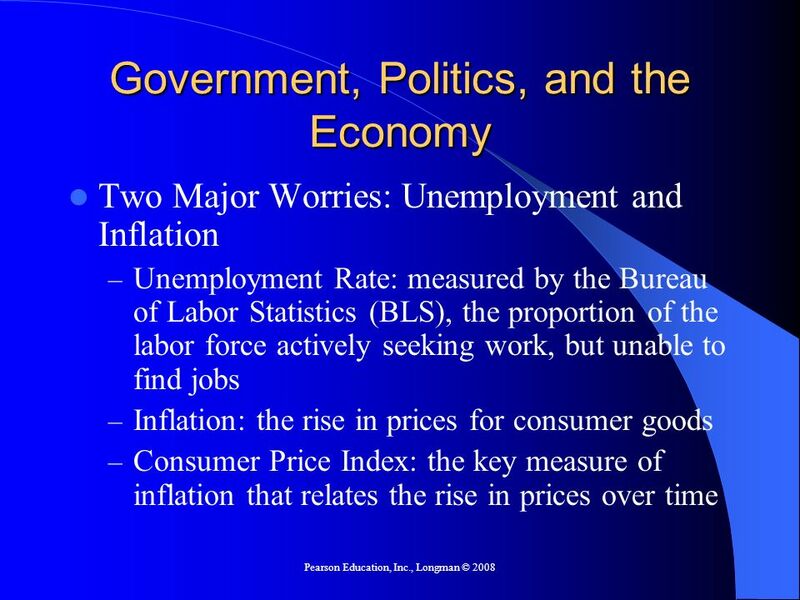 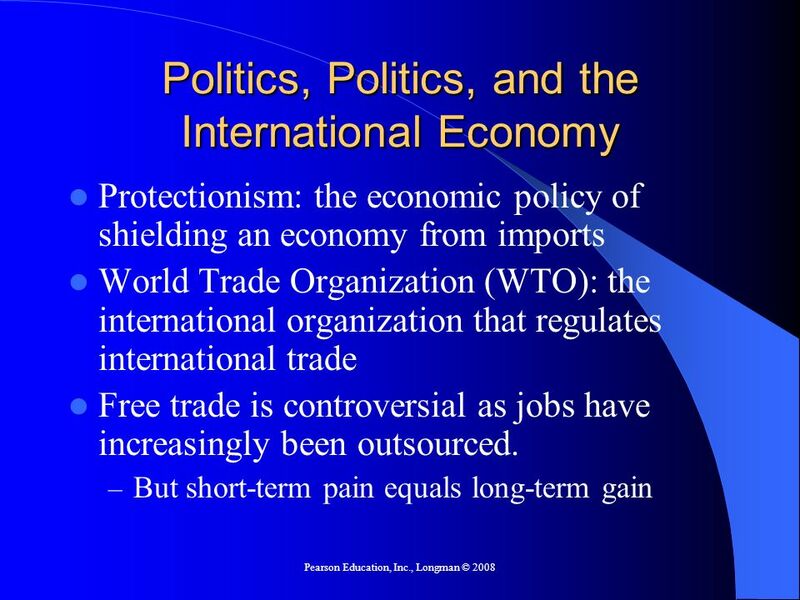 The Economy of the United States Economic Indicators Government Regulation International Trade. Chapter 17 Economic Policymaking. Capitalism Private individuals own the principal means of production Prices and wages determined by Supply and Demand. 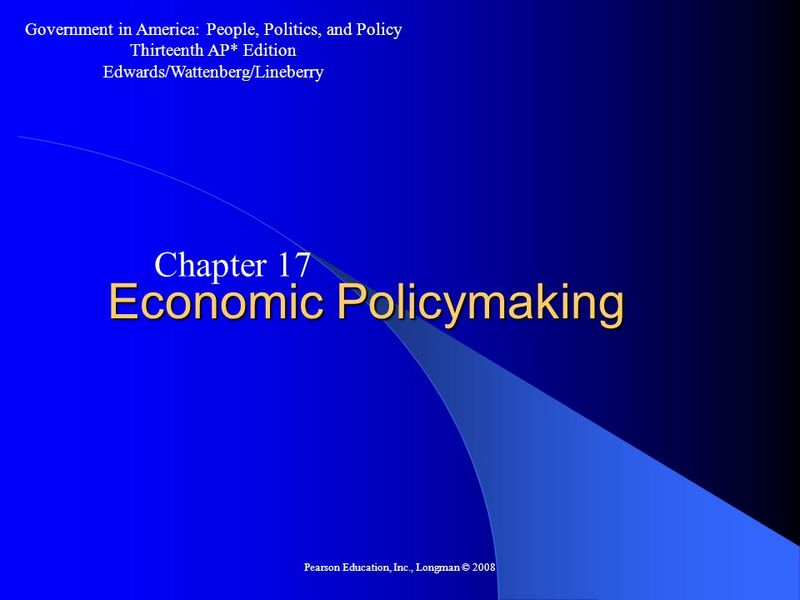 Economic Policymaking Chapter 17. Economic Systems Market Economy: An economic system in which individuals and corporations, not the government, own the. 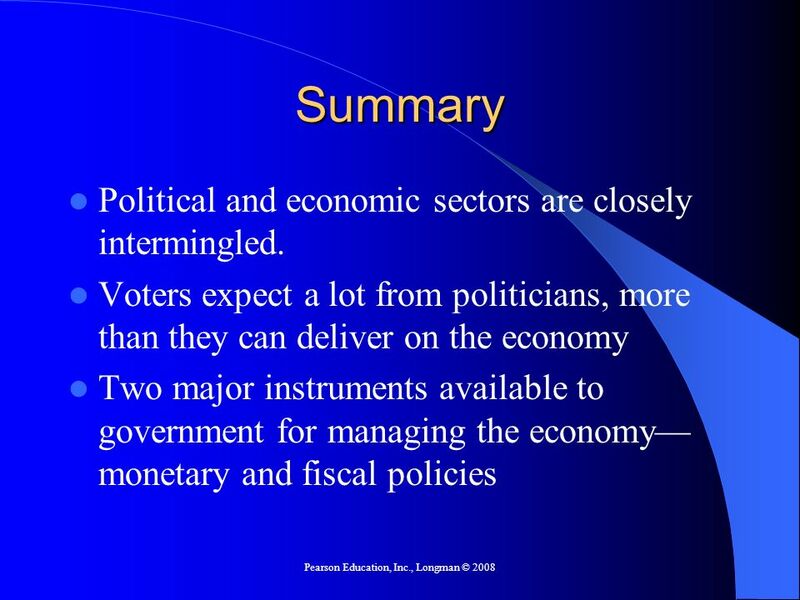 Copyright © 2009 Pearson Education, Inc. Publishing as Longman. 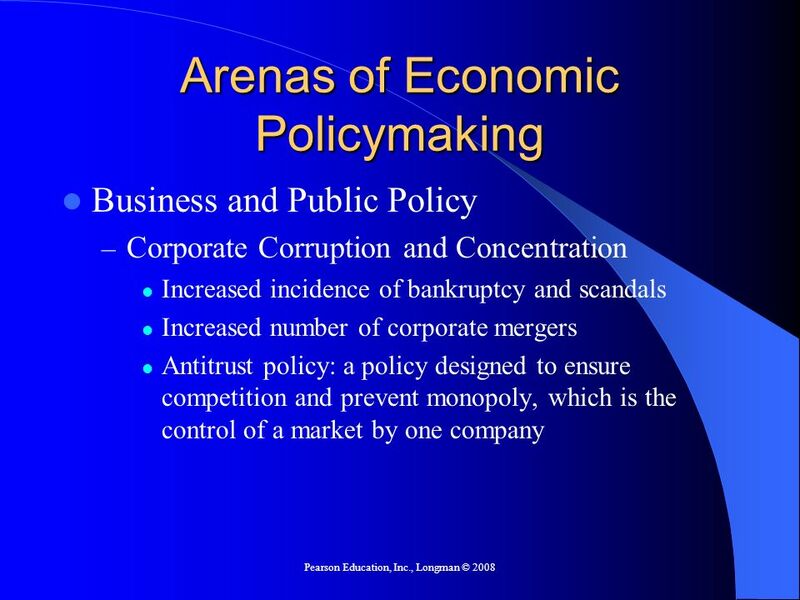 THE AGENDA-SETTING PROCESS WHAT’S ON THE AGENDA IS… MOST IMPORTANT ALWAYS CHANGING. 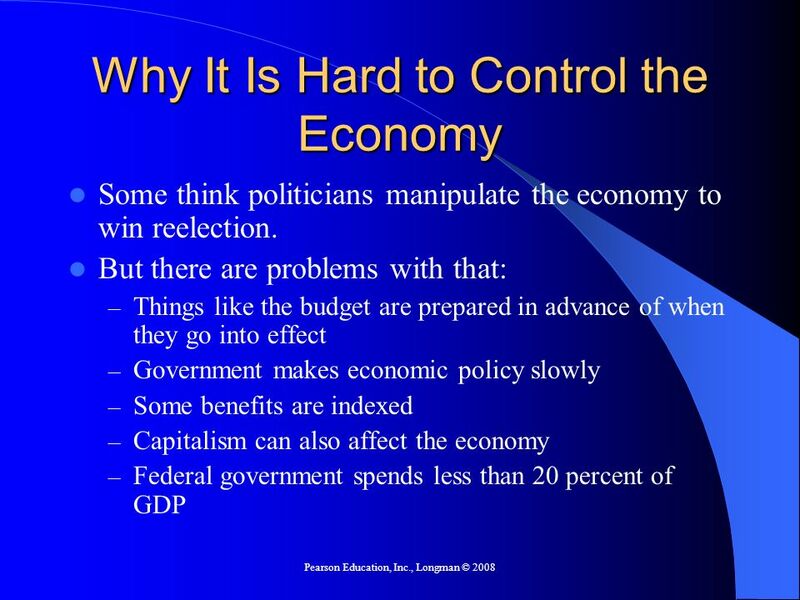 THE BIG PICTURE. 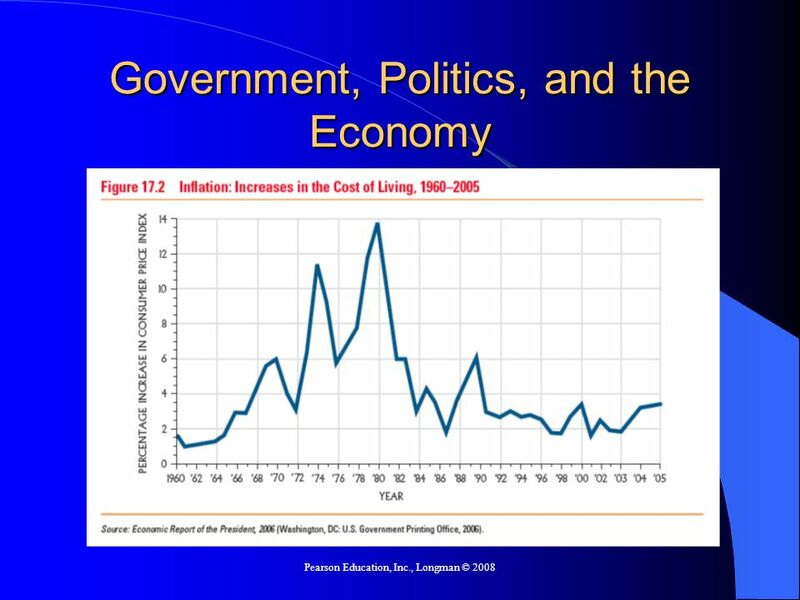 WHAT CAN GOVERNMENT DO TO PROMOTE ECONOMIC GROWTH? 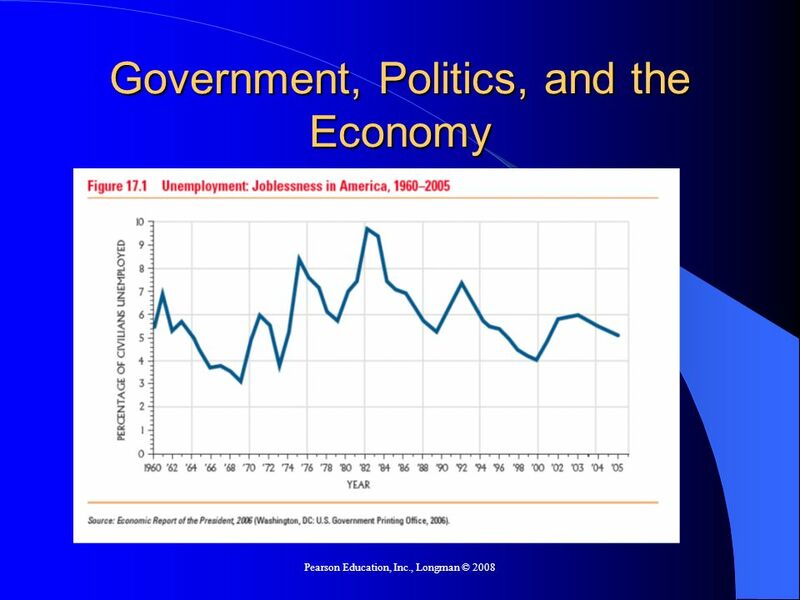 Is economic growth really the government’s job? What should the government. 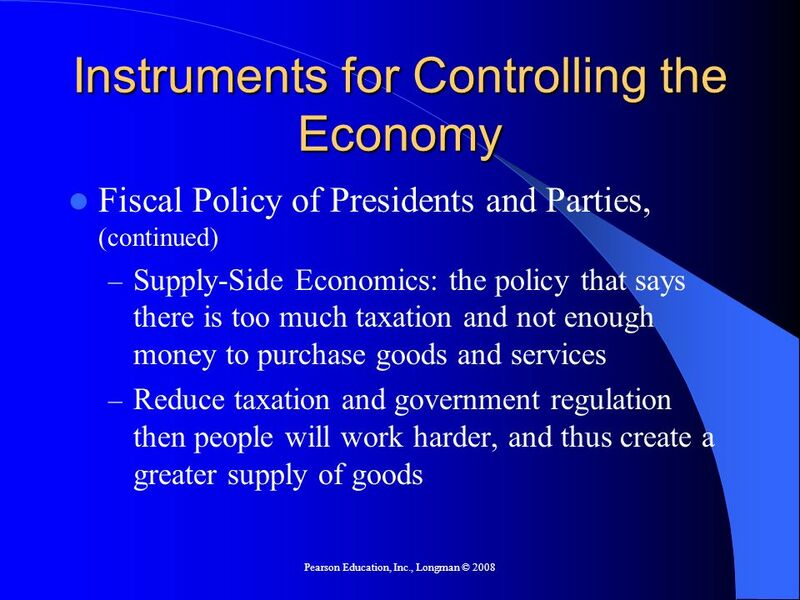 Government Economic Policy Keynesian, supply side, mixed, laissez- faire.